Intro SilverStone doesn't offer the RVZ02 in white, so I made one myself. I spray painted the outside panels with white Plasti dip, about seven coats in total. I named her Asuna, the character from Sword Art Online, and I tried to match her color theme the best I could. I found it interesting that the front "orange Raven LED" matches Asuna's hair. This is my favorite build so far, requiring the the most patience, planning and attention to detail. I admit it's not perfect, but it's a perfect match for me. I hope to share this build with you, so feel free to ask questions or comment! Purpose It's built for 1440p gaming on a QNIX 27" monitor OC'ed to 96Hz, on Ultra/maxed settings. Games include Fallout 4, Battlefront, ocassionally StarCraft 2 and waiting for the upcoming Rise of the Tomb Raider and Overwatch. About the RVZ02 This RVZ02 case was a pleasure to build in, it's nice and slim, fits on my desk. The case is beautiful in white, and rivals the NCASE M1 in aesthetics in my opinion. Things I didn't like was that the windowed version didn't include a dust filter. Also it only comes in black color, it would be nice to offer it in white and silver. The RVZ02 runs hotter than my NCASE M1 with similar parts (The M1 has better airflow from the ability to use extra fans). Why not Skylake? I didn't go with Skylake because I already own and wanted to keep the Haswell CPU i7-4790K from a previous build and I didn't want to switch over. Reference card for best temps I wouldn't recommend an open fan cooler in the RVZ02. I tested this case with an MSI 290 Gaming 4G at stock and Gaming Temps reached 90-95°C! The hot air was trapped and just recirculated inside the GPU chamber, but opening the side panel relieved the temps. But YMMV. About the Power Supply I know I am cutting it close with the 500W Silverstone SFXL power supply, but I plan on upgrading it to the 700W Silverstone unit when it comes out. In the meantime, I disabled turbo-boost keeping the 4790K @ 4.0GHz, and leaving the GPU at stock. My power draw measured from the wall is 360 Watts under gaming load Fallout 4. What's the deal with those two keyboards in different colours? What make are those keyboards anyways and don't you need letters on them? Aww man! I thought I was gonna be to first one to post a White Raven up here! lol I just got the case but my other half won't let me have it until Christmas :/ This is a really nice build though and now I know how many coats of paint to use ;) Did you use any primer or anything and is it a gloss or matte? +100 man, it looks really awesome! Aww, show her my case maybe she will change her mind to let you build in it before Christmas! I did not use any primer, and the white Plastidip is matte. Thanks, and good luck with your build! The SilverStone Raven only comes in Black color, I merely spray painted the outside panels with White Plastidip. This is nice!! +1 for all the pictures provided. Amazing build mate. I am puting my Raven together next week and I wonder where you installed case fan you linked? The case fan I linked is the gray fan on the cpu cooler. I replaced the slim, stock Noctua fan with it. Good luck with your build! Ok. Thank you for sharing this. +1 awesome build! Do you have plans for your NCASE M1? Your previous builds with it were great! Yes, I plan on keeping my M1 for a future build, hopefully. where did you get the PCI extensión on the photo 14? 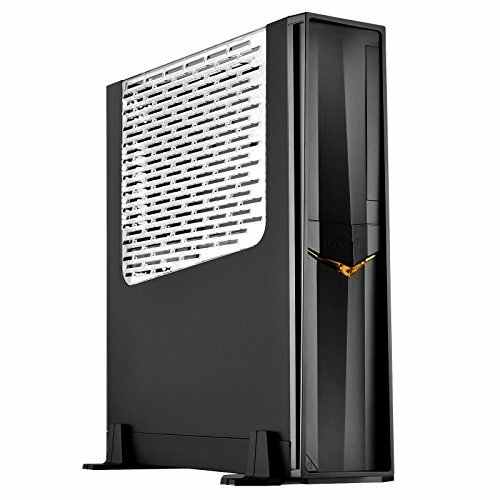 The PCI extension comes with the Silverstone Raven case. Have you tried running anything heavier than fallout 4? What sort of temps do you get on something like that? Hmm, I have not run anything heavier than FO4, it's the most demanding game I play so far, haha. Great machine! I built one very similar -- same case, PSU, and SSDs, but with "normal" 4790, NH L9-x65, 16GB RipJawz, Asus GTX 980 STRIX, Gigabyte MoBo, and a 2TB HDD (Seagate). My machine kept shutting down on it's own. I figured it was the GPU that was overheating (at about 65 degrees, which is way lower than the 95 or so it's rated for), and forcing my PC to shutdown. I repeatedly had to scale down the resolution and detail level, and monitored temps, and they stayed low like yours. Any suggestions/thoughts based on your experience with your machine? Hey there, thanks for the kind words! That's unfortunate what happened to your GPU, but it happens. I had the 980 Strix before and it was an amazing card, very quiet and cool. I've had great experiences with Asus RMA's, I RMA'd an Impact motherboard and turnaround time was fast and the process was easy, I hope your RMA goes smooth! I believe your 500W PSU is perfectly fine for your system, the 980 TDP and power consumption is a lot lower than the 980 Ti and my system runs fine, with no overclocks. But do you suspect it is the PSU? I do know that my PSU tends to "Click" once in a while so I plan on replacing it when Silverstone sells the 700W SFX-L version. As for experiences with my machine, it runs great! The reference blower tends to be loud during games, but it expels all the hot air out of my case, which is nice. Everything is great and I love the case! Cheers! Do you think I can make a Skylake (i7) build with this PSU and also a 980 ti? Or should I get the 600w version? 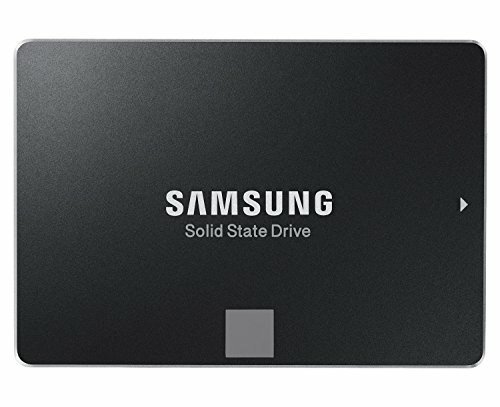 Also, is it worth going with Skylake or not? Because it is going to be my first build. Yes I would say it's worth going Skylake now. 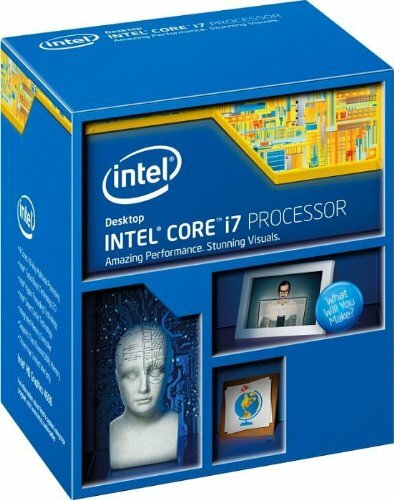 If it's the comparably the same price as Haswell, go for the newer technology in Skylake. DDR4 RAM prices are plummeting too, so it would be wise to invest in the newer tech. Yes, you can run it, but keep in mind that I wouldn't recommend overclocking an i7 + 980 Ti combo with the 500W PSU. The 500W i'm using is a temporary placeholder, so I am not pushing it too hard. But, if you want to feel safer with some headroom, I would go for the 600W like you said or wait for the Silverstone SFX-L 700W Plat. Thanks for answering, my last doubt is if I sholud go with this case or the Lian Li PC O5s both look really nice but I haven't seen any rather than on pictures. The PC 05S is a very nice looking case, and although a lot more expensive! I want to do this, but with a nano and an i6 6700, but I'm getting concerned about temps as many people seem to complain about them with the case. Yeah, it gets really hot with an open fan card with the side panel on. I ran it with an MSI 290 TF IV, and reached it 90°C. The hot air just recirculated inside the case, warming up the CPU and hard drives. When I opened the panel and kept it open, the temps dropped significantly. Is ther some way so i can chat with you i just love your build and i want to do it but just got a lot of questions? i beg you Please? We can chat here, or message me if you like. I'll be happy to answer your questions. Just a question, how did you go about painting the slide cover and Raven logo and make it look crisp and clean? how did you go about painting the slide cover and Raven logo and make it look crisp and clean? I used blue painter's tape to cover the orange-led so it doesn't get paint on it. Then with each layer of Plastidip, I would let it dry for about 10 minutes then I would use a box-cutter razor to cut around the edge of the openings so that I can still slide the cover up and down. (If I didn't do this, then each layer of Plastidip would completely seal the sliding cover). I repeated this for each layer of Plastidip (about 7 layers total), so that in the end, I can slide the cover up and down and still access the front connectors. Then, I used a red Sharpie to paint the front "red Raven logo." So are you still getting those great temperature. I wanted to go with the same case except the no-windowed version. (Im a big fan of Dust filters) It seems like the card that you have is great at keeping a good balance. And you aren't OC'ing right? Yes, I'm still getting these temps. I've been playing Mobas lately and the temps are even lower, about 50°C for the Ti reference. I wish I got the Dust Filter version, dust has been a problem for me since my room gets dusty, haha. My card is only OC'ed out of the box, the EVGA SC factory overclocked version. I have not OC'ed it further. Wow thats amazing. I was almost deciding against the case because other have gotten high temps. So are you're running those temps ever with games like fallout 4 or MGSV, etc? I was looking at the non windowed version as well. But I can understand why silverstone couldn't figure out a work around to for added filers to the windowed version. So are you're running those temps ever with games like fallout 4 or MGSV, etc? Higher demanding games like FallOut 4, FarCry 4 cranks up the temps to 60-65°C. (I have not played MGSV). Less demanding games like StarCraft 2 and League tops out at 50°C for me. I believe with a little modification I can install a dust filter in the acrylic window version. 60-65°C isn't bad. ideally you would want to be under 70-80°C. So I found this website that makes custom filters. might be the perfect solution for the RVZ02BW. Looks pretty awesome. You send the measurement and the build. With colors and all. Makes me want to jump on the RVZ02BW now instead of the all black. It looks like it's easy to get something custom for one side. ideally two pieces seems like all that would be needed but the for the upper grill of the case it goes from the side to the top. I went ahead ordered an RVZ02BW and shot an email to this company to see cost to produce a custom grill for the case. I like the fact that they all have white/clear filters. can imagine it being more than $50 for set of custom filters. You've inspired me to get a little creative with this build. Question... For fallout 4 what are settings set at? to keep your temperatures low? For fallout 4 what are settings set at? Everything maxed, stays at 65-75 FPS on my 1440p monitor OC'ed to 96Hz. Good gosh that's impressive. How do you feel about the RVZ02 vs. the Ncase M1? Are you temperatures still stable running games like Fallout 4. I really want to get this case and drop a 980ti in it. But the heat that the GPU can potential create worries me. Yes, temps are still stable as listed. The blower-style card does a good job of exhausting all of the heat out of the case. I wouldn't run an open-fan card in this however. Really love your build report. Can you comment on how the temps have been 4 months in? I'm also curious what fan profile you have the 980Ti set to. I've seen charts (like this one http://www.bjorn3d.com/2015/07/evga-geforce-gtx-980-ti-superclocked/5/) that show the reference blower cooling to 65c at load if in aggressive profile. Hey, thanks! Yes, the temps have stayed relatively consistent with my original report. Yes, I use an aggressive fan profile using MSI Afterburner, and it keeps my GPU under 70°C, but with the downside of increased blower fan noise. Yes the GPU fan is louder than the CPU fan during load with an aggressive GPU fan profile. Wow, under 70 is pretty impressive for a case with no fans. Have you checked what load temps look like on the standard fan profile? 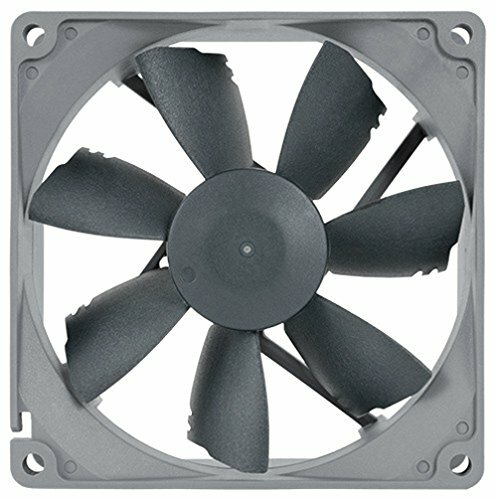 Standard Fan profile, during gaming my GPU goes up to 80-85°C, but the fan noise is not too loud. Very Sick!! .. Looks Amazing!!! Added to my wish list for next Christmas!! .. What are you using for the RGB back-light behind you monitor? I know you liked the orange LED on the front, but did you work out if it COULD be changed? Yeah, when I disassembled the front panel, there is a plate right behind the front panel LED area. You can either replace the orange bulb or slip a white film in front of the bulb to change the color. Sweet thanks - in no way would it have been a deal breaker but it's nice to know. Where did you put the white led strips to get that awesome affect? Hey! I put a 6 inch white LED on the floor of the GPU chamber. and a 3 inch white LED strip right above the top of the motherboard on the inside of the chassis. I am currently deciding whether to go windowed or not, is dust build up a problem with windowed version as unlike the other version it has no filters. No problem! Dust is an issue for me because this room has carpeting and dust floats around more than a hardwood floor. However, the window'ed version looks AMAZING especially if you have LED's inside the GPU chamber. And I don't mind cleaning off the dust more often. So, I guess there's a trade off! Where did you get the white LED's? and can you please share how to install them? I just bought this case (i5 4690 + reference 970). Also do you have a youtube channel? For the CPU chamber I used the 12cm length with 6 LEDs. The strips are magnetic so just connect them to your molex and stick them where you want them. No I don't have a YT channel. Cheers! One more question lol, I know your cutting it fine but what is your opinion of the PSU in terms of noise and performance? No prob! The Silverstone 500W SFX-L is inaudible, I never hear it and it does it's job fine, no complaints. If I were purchasing an SFX/SFX-L I would wait for the Corsair ones, and check their reviews. So I'm basically doing the same build, but I was wondering how loud it gets? I'm using the FTW card (theoretically) and i5 6600K with the 600W SFX PSU, so very very similar. Hello, the GPU blower is the loudest party, although I have mine on an aggressive fan curve so it spins faster than out of the box. The CPU fan is rather quiet and tame in comparison. Hello, I don't understand your question. Can you please elaborate? I had it custom ordered from a vendor on Etsy. Let me know if you need their contact info, they probably still have the template for it if you are interested. Whats the Etsy Vendor's Name? You're welcome. Etsy vendor is DarkfireDesign from Charlottesville, VA. They had the lettering but not the red sword. Is that from the same vendor? Yes, it is actually a custom order from 3-4 months ago. They might still have the "Sword" template, try asking them if they still have the template. I love the cabling on this? Did you buy the full Silverstone set from ensourced or did you just use extensions? Hey! Thanks. These are extensions from Ensourced, they are absolutely fantastic, but the combs are fragile, haha. Hey, Do you custom make those keyboards or where do you get them from? Really liked your case but I want to use a 6700k and r9 nano. Is that NCASE M1 any better on temps? Reviews say the nano pushes 50% of the air out the back and 50% into the case, it's sort of half blower. From my experience testing similar configs in both cases, the NCASE is quieter and cooler, with better airflow from the use of bottom and side intake fans. The Nano is perfect for either case, but if you can pony up the extra money, I would recommend the NCASE because it's quieter, cooler, more modular, and looks better (imo). I don't think the Ncase would fit next to my tv, so I'm going to try the rvz02. Is paiting it hard? I've never painted a case before. I'd like to match to the white nano. Hey buddy! No, it's pretty easy. In terms of prep, the tricky parts I found were carefully prying back the fingers that hold the acrylic window (if you are going for the windowed version), and also another tricky thing is removing the front panel. You have to push in some clips on the inside. In terms of painting it, one thing I realized is that I wouldn't recommend Plastidip because it rubs off so easily. In the RVZ02, the panels rub against everything so you have a great chance of the plastidip pealing off in the corners and edges. I would just paint it normally with a primer and paint or all-in-one. Thanks! Extensions are Paracord, 30cm length each. For curve/orientation and wire he takes care of it already. Colors are: Black, White, Charcoal Gray and Imperial Red. Hey! 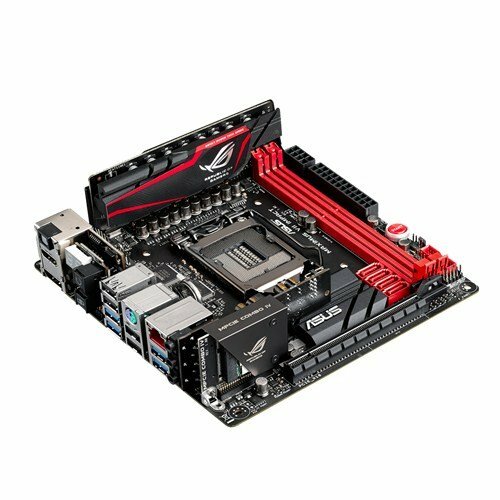 Yep, you need (1) 24-pin Atx, (1) 8-pin Cpu, and (1) 8-pin Pcie for your graphics card (970 Asus Turbo has the 8-pin connector). Also, I would suggest a Corsair SF450 or SF600 instead of the Silverstone you listed because the Corsair is better and smaller, and will free up more space for cable management. I want to thank you for giving me an idea for the CPU fan. I got the Noctua cooler, but I wanted a little more air flow, and a little more height to access cooler air. If I could find longer screws, I'd just piggyback the fans. I have the same case as you, ROG Maximus Impact VIII mobo, U.2 Intel 2.5" 750 800Gb, Samsung Pro 850 512Gb for boot drive, 6700 CPU, 16Gb Ripjaws, MSI 1080 Aero(Still need to order U.2, SATA SSD, and video card). I started my build today and got as far as I could with the components I have in hand. It has been a pleasure so far with the ease and quality of the fit. Everything from the power supply to the mobo standoffs and backplane panel fit perfectly. The Redux fan cable length was perfect(Routed around the concave portion of the fan, inside the mounting screws.) That might not have worked for you because it looks like your RAM is already leaning away from the CPU cooling unit. I had the same problem with my Ripjaws, so I loosened the mounting screws on the backside of the mobo, and was able to slightly move the cooler over just enough so my RAM is at 90 degrees. Even though you have a Z97, I'm thinking that part of the footprint is probably the same. This is my first high end build. I've been holding off until technology has matured. We now have high end CPU's and graphics cards with relatively low power demands. Also, the laws of physics will be coming into play shortly. Storage is getting closer to maturity. I'm thinking I will get at least 7 or 8 years out of mine, and not be totally envious of newer builds. Great job on your 'labor of love' build. You built something you should be very proud of, and of course you are! Hey! Thank you for the kind words! It's no problem and thank you for writing to me about your build. I love hearing about other's builds in similar cases. You will very much enjoy the case once it's completed. I'm glad you solved the RAM problem, and yes I believe the Impact layout is similar across all generations thus far. I have since given my Raven to my girlfriend to use, and right now I am using the NCASE M1. Both are lovely cases! I truly believe that Mini-ITX will become more popular in the future as more and more people realize that they don't need a gigantic tower to fully enjoy using their PC. Thermal design is improving and components are becoming more energy efficient. I'm a big advocate of small form factor builds, I love the unobtrusive and minimalistic designs of such machines! Make sure to publish your build when it's completed, I am very interested in seeing the complete build and setup! Do you use this or the M1 more? Which has cooler temps? Btw, they are both beautiful. Hey! Thank you for the kind words. I use the M1 more, and my SO uses the White Raven. The M1 has cooler temps, because I am able to put more fans in it. (The bottom, white intake fans help bring in fresh air). The Raven is pretty limited in cooling options and runs a bit hotter. What's the case beside the Raven in the first picture? Hey! Looking back, I wouldn't recommend plastidipping the RVZ02 because the panels rub and scuff onto the main frame too much, which scuffs off the plastidip. I'm not sure but you probably don't need to scuff the case before spray painting. The plastidip is really sensitive to rubbing, and comes off easily when I remove or put on the side panels. I got the decals from an Etsy vendor, they can custom make you decals for around $5-$10. You can probably have one custom made if you look around Etsy or a local CNC metal shop for badges. Hey! No I didn't paint the Noctua cpu cooler. It's the Redux version and comes like that stock. It's a Ducky DK9087 G2 Pro. Thanks! I'm actually not sure, because the MSI 980 Ti 6G has a tall PCB, and it might block closing the side panel. I hear that the reference PCB is recommended for the M1. Do you remember where you ordered your custom cables from? Yes, I got them from Ensourced.net. They are 30cm long each in White, Imperial Red, Black and Charcoal Gray. Awesome price for the extensions ($50), but next time I will go for full replacement cables to reduce the clutter.